You have a hot water cylinder with a cold water tank above. 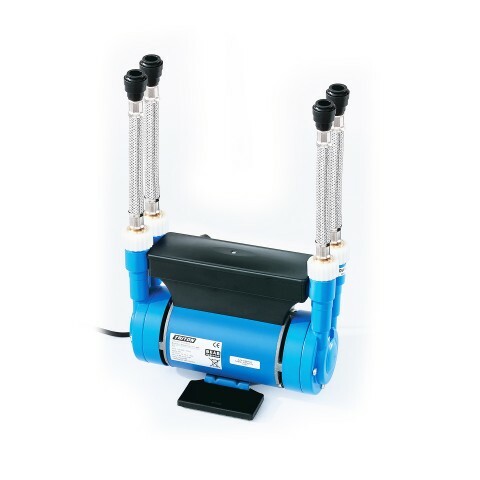 If you have a hot water cylinder with a water tank above it similar to the image then you may need a pump to make any bar or bath tap shower work. 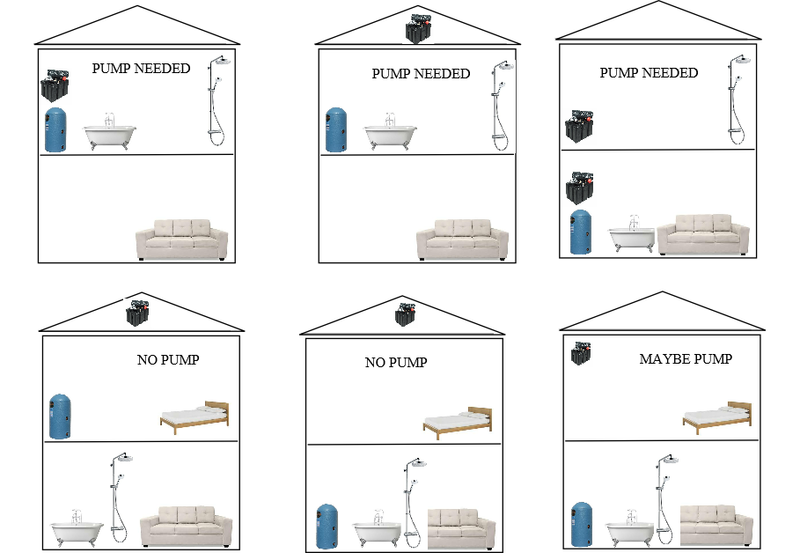 See the diagram at the bottom and determine by the layout if you need a shower pump fitted. 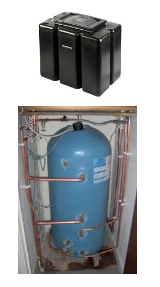 If you have a hot water cylinder with a built in tank on the top then we may be able to fit an inline pump depending on the size of that water tank sitting on top of the cylinder. But bear in mind that the small tank on top of the cylinder will give one decent shower before the hot water gets used up and needs re-heating. We usually find these type of cylinders in single storey dwellings such as flats or self contained bedsits. 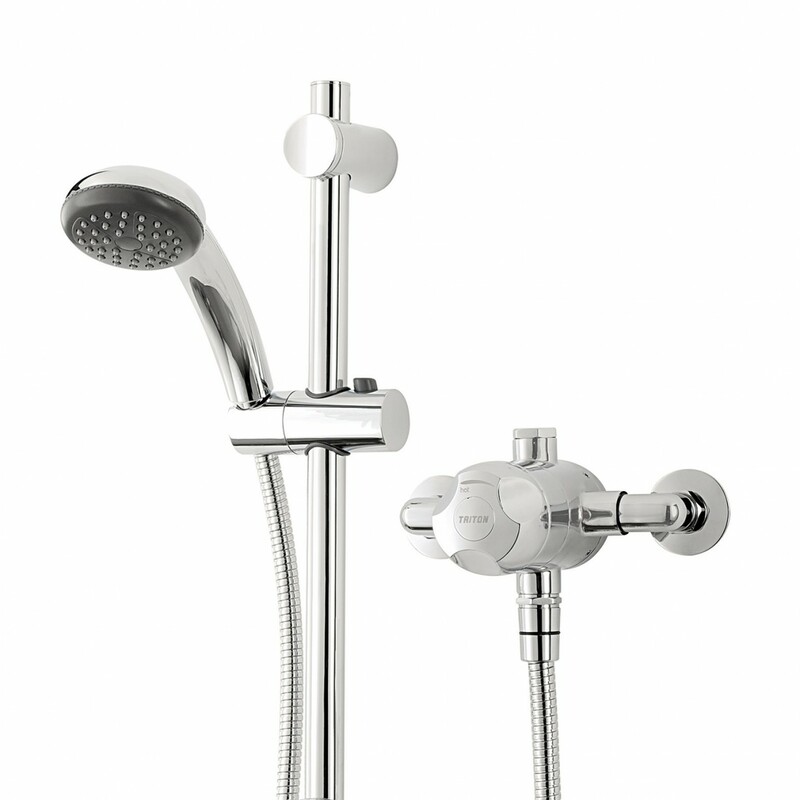 We can supply and fit either a bath tap filler shower +pump ......OR a bar shower + pump - both shown above for only £499 must already have a functioning hot water cylinder in place. This option works out considerably cheaper than installing an electric shower with wiring, switches, mcb's and certificates ! Whats more higher temperatures, better flow rate. from an hot water cylinder. Note the best you can expect from an electric shower is 3- 4 litres per minute max ! 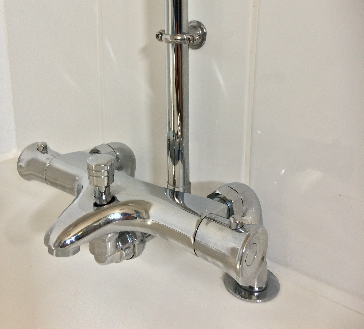 Already have a bath tap filler & shower - But the pressure drops to a dribble when you lift up the shower head ? We can fit an inline pump under your bath to BOOST the pressure and give you a much improved flow rate from that shower head. Pump may include a ceiling pull cord switch to operate the pump. 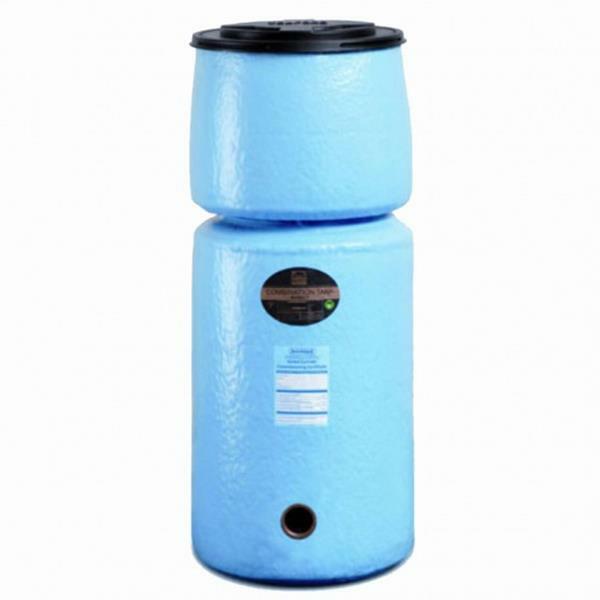 If you have a large white cylinder then it is probably an un-vented pressurised hot water cylinder. NO pump is required with this type. 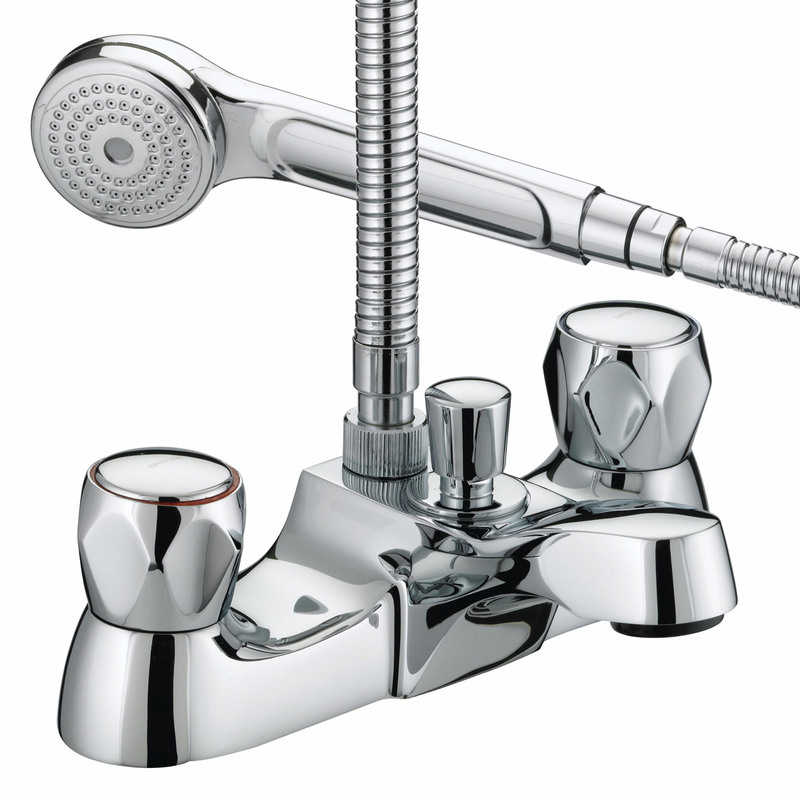 You have a choice between a bath filler tap+ shower ...Or a bar shower or a mixer shower. A conventional pump will only work under certain conditions however in most circumstances an inline pump will provide a shower. Want a bath filling tap with shower AND pump deal ? We can replace your bath taps and fit a bath filler mixing tap plus a wall mounted shower kit - new tap and single inline pump from £499 ! Want a bar shower AND pump deal ? We can fit a budget bar shower - new pipe work and single inline pump from £499 ! Not sure about the system you have ? Call us and we can advise you no trouble !